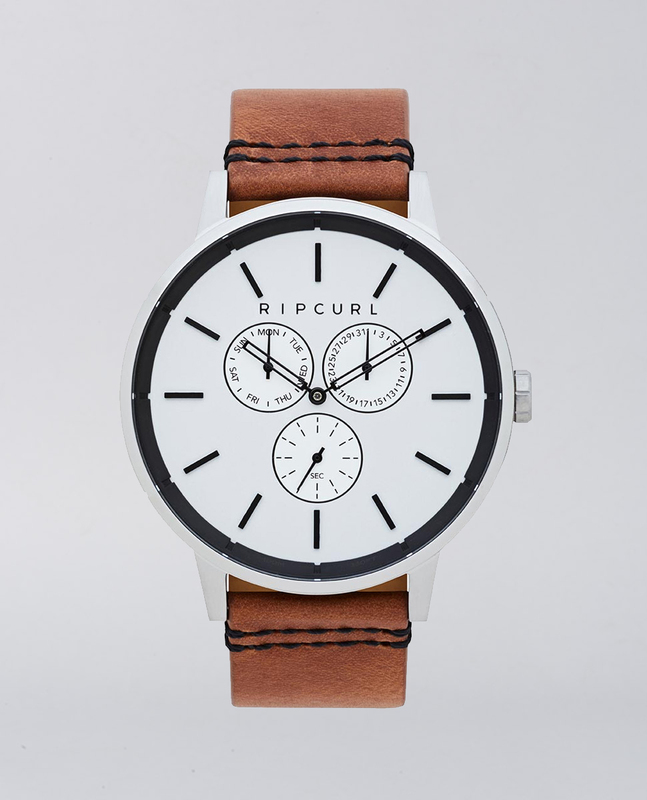 Oversized and bold, this industrial design watch sets itself apart from the crowd. Distinguished, refined and confident. 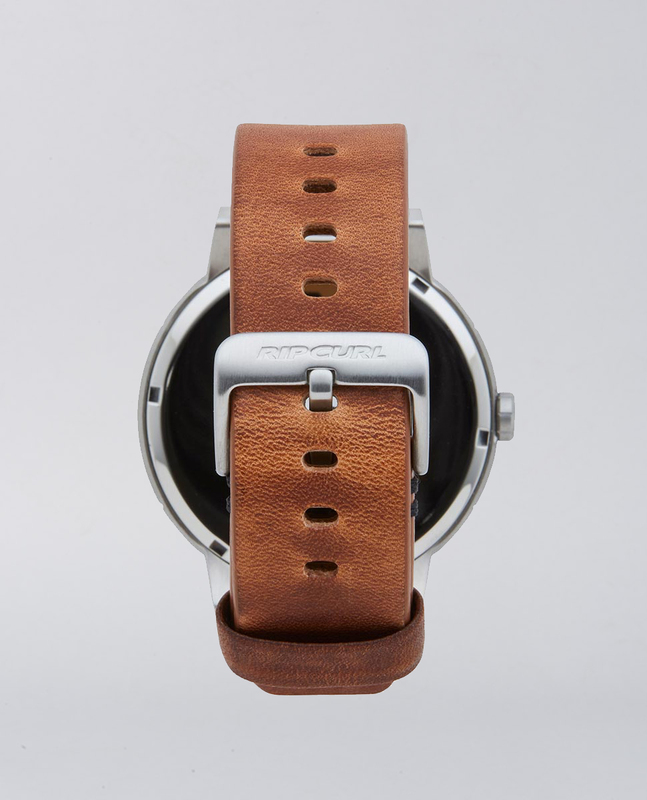 Oversized and bold, this industrial design watch sets itself apart from the crowd. Featuring a genuine leather strap, custom high index markers and an asphalt dial, covering a Japanese quartz multi-eye five-hand movement with time, weekday, date, and small seconds hand. Distinguished, refined and confident. DIAL: Unique asphalt dial detail with applied raised indexes. MOVEMENT: Japanese quartz multi-eye five-hand movement with time, weekday, date and small seconds hand. 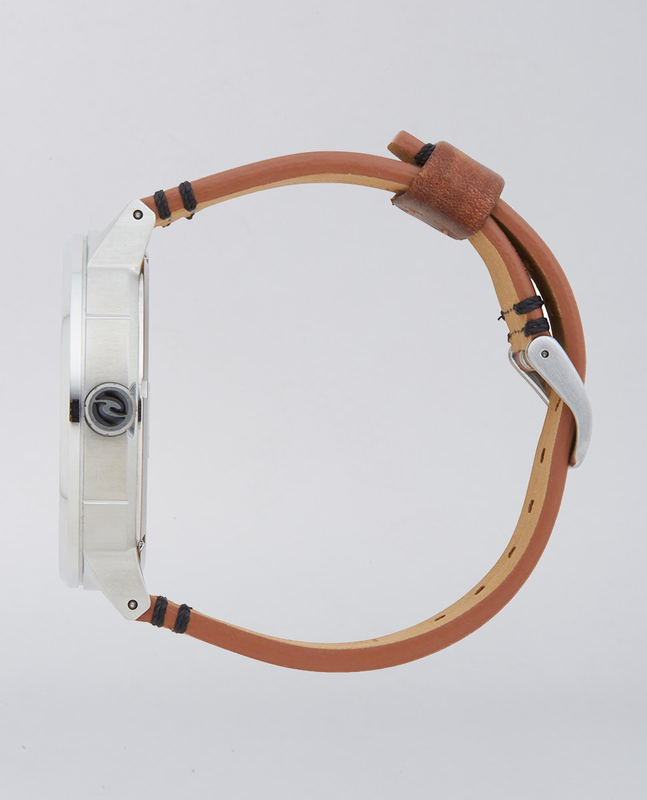 BAND: Genuine leather with stitch detailing and marine grade stainless steel forged buckle (22mm). CASE:Custom designed marine grade solid stainless steel case. 48mm. Ionic plated 23k gold, gunmetal or titanium carbide midnight black.